China’s Vice President Wang Qishan likes parables. He offers tales from ancient China when he wants to make a point. 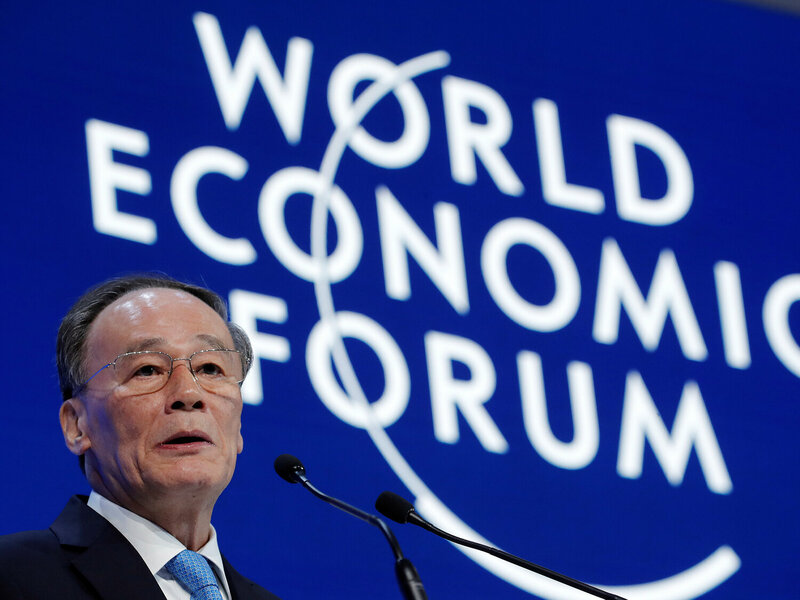 I discovered that last week at the World Economic Forum at Davos, Switzerland, where Wang spoke and I listened intently on the translation headsets provided by the forum. 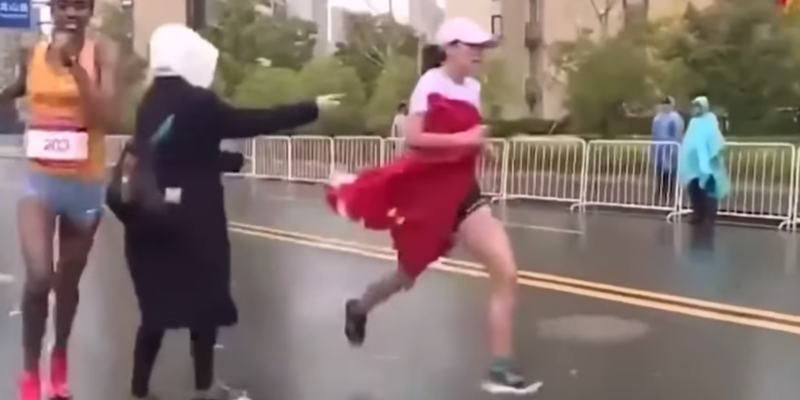 Uyghur “patriotism” now requires the active disavowal of the Uyghur way of life. Vague euphemisms like “patriotism,” “harmony,” “stability,” “vocational training,” and “poverty elimination” gaslight the erasure of a native system of knowledge and the basic elements that make Uyghur life Uyghur: language, religion, and culture. 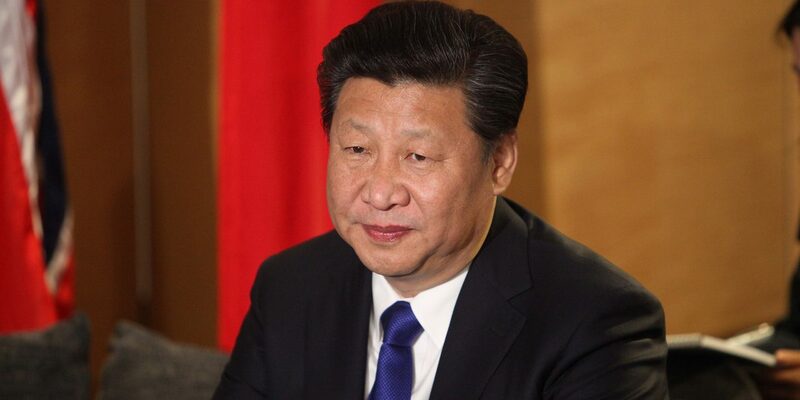 For 2018, we could say that the most important testing point (测试点) in China’s political discourse arena was the contraction of President Xi Jinping’s political “banner term,” or qizhiyu (旗帜语), “Xi Jinping Thought of Socialism With Chinese Characteristics for a New Era” (习近平中国特色社会主义思想), which was formally introduced at the 19th National Congress of the Chinese Communist Party in November 2017. What do I mean by contraction? 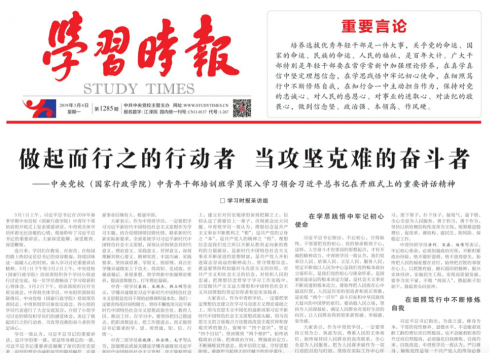 “For the last few weeks, the New York Times has been running a hyped-up, gushing series of lengthy articles under the rubric ‘China rules.’ On a special section in the paper edition for Sunday, November 25, they printed this gigantic headline in Chinese characters — and made a colossal mistake.” Times editor Phil Pan responded in the comments. Chinese magazine Yǎowén Jiáozì 咬文嚼字, which is translated variously as “Correct Wording” and “Chewing Words,” turns a critical eye to the misuse and abuse of language in Chinese society. 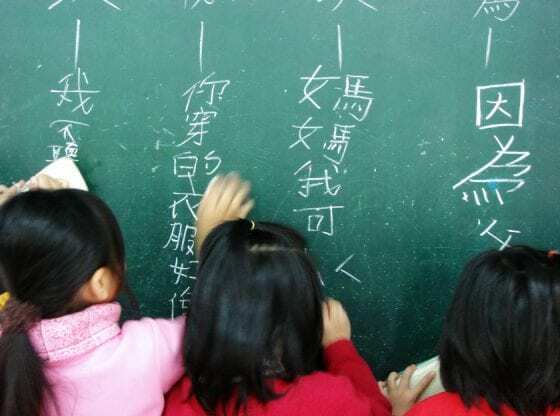 It has released its top 10 popular words of 2018 list, which are explained by Radii China. 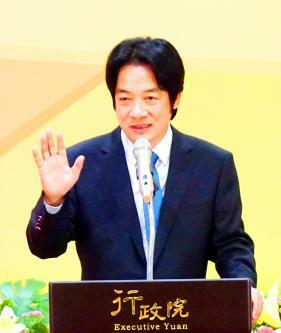 This year’s winner is “community of shared destiny” (命运共同体 mìngyùn gòngtóngtǐ), one of the favorite phrases of Xí Jìnpíng 习近平. You can read more about Xi’s “community of shared destiny” on The China Story. There’s more about Yaowen Jiaozi magazine on Danwei.org. What are 2018’s hottest buzzwords? It’s that time of year again. 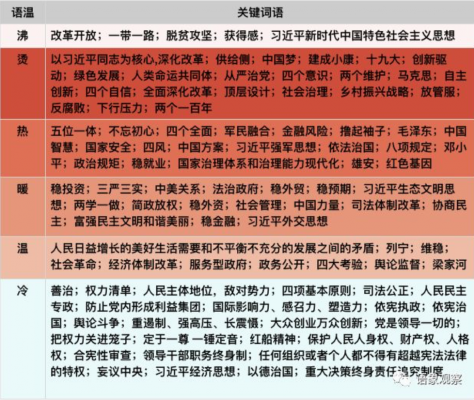 Soon, China’s language authorities will declare 2018’s hottest buzzwords and slang—“进博会 (World Import Expo)” and “板门店宣言 (the Panmunjom Declaration)”—while netizens react with confusion. The annual search has four categories—Domestic Word, Domestic Phrase, International Word, and International Phrase–that seek to nail down the words, characters, and phrases most widely used. 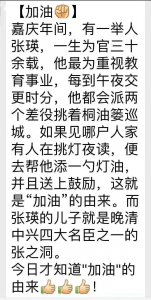 I also have the similar question as Tina: the usage of “jiayou” as a cheer should be much earlier than 1960s. 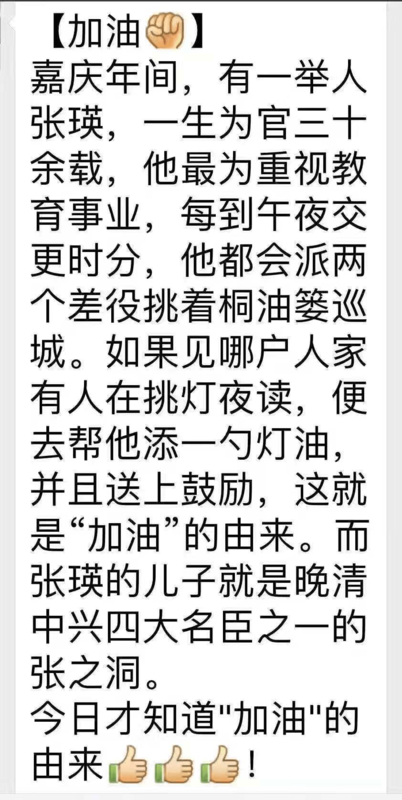 According to this article, the slang was first created on Qinghua campus in the 1920s, and later popularized by the CCP in the 1930s. But it’s still not clear if the “you” originally means “cooking oil” or “machinery oil,” or both. Came across this on WeChaot about the origin of “add oil.” I did not try to verify its authenticity. Some might find it interesting. Just a note that while the article on ‘jiayou’ being added to the OED states “jiayou” is believed to have originated as a cheer at the Macau Grand Prix during the 1960s, readers of early 1950s PRC-reportage will be familiar with the use of the phrase in stories centred on mutual encouragement of comrades, particularly related to campaigns to overcome nature/environmental hardships when opening up ‘virgin land’ or bringing film to the countryside. I’ve often wondered if the phrase was a reflection of a vernacular term being taken up in CCP reportage, or if the term emerged to reflect particular modes of socialist modernization premised on incorporation of industrialization/machinery/oil & electricity into everyday life. “Languages and Scripts in China: New Directions in Communications and Information History.” Workshop at Columbia University on April 19, 2019. This workshop aims to articulate a new path in studying the history of languages and scripts in China. Although this inquiry has been part of a long historiographical tradition, the past decade has seen an unprecedented growth in revisionist scholarship. New perspectives on the making of Mandarin as a national language, transnational histories of script reforms, and the significance of media technologies as well as large-scale infrastructures have been some of the major themes that animated recent literature on languages and scripts in China. How can we critically reflect on this contemporary interest in the history of linguistic technologies? What does it mean to study languages and scripts in the twenty-first century? 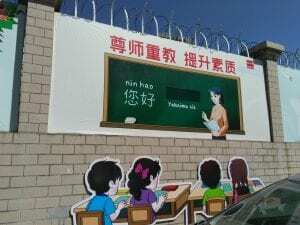 What are the possibilities and pitfalls in pondering the multi-lingual and multi-scripted landscape of China?